High-tech Larousse City is a pretty impressive place to visit-and a pretty impressive place for a Pokmon battle, too! Ash heads straight for their renowned Battle Tower, but things don't turn out too well when his battle partner turns out to be a scared boy named Tory. Because of a frightening childhood incident, Tory is scared of all Pokmon-even cute ones like Pikachu! 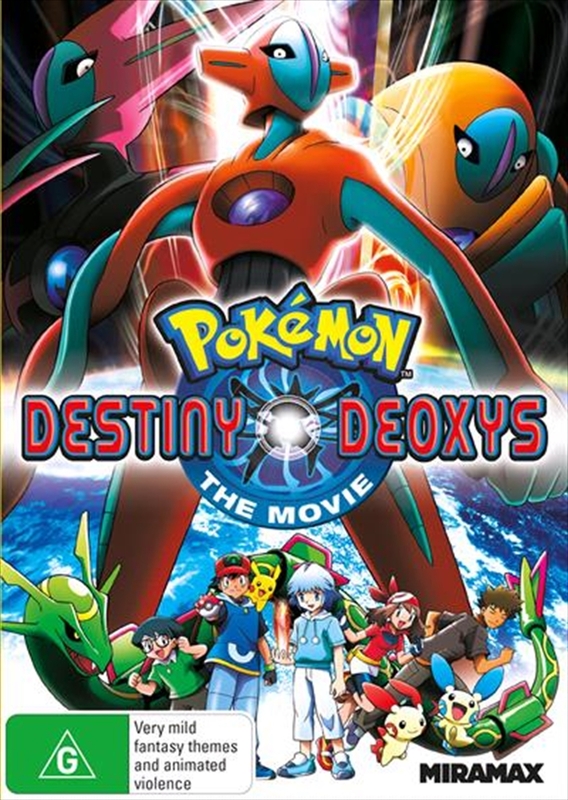 There's a lot more to be frightened by when Deoxys shows up and takes control of the city, shutting down the machines and taking everyone captive. One Pokmon that is not amused is the Legendary Rayquaza, and it will do whatever it takes to remove this invader from its territory! Meanwhile, Ash, Tory, and all their friends may be caught in the middle, but they're certainly not out of the fight!